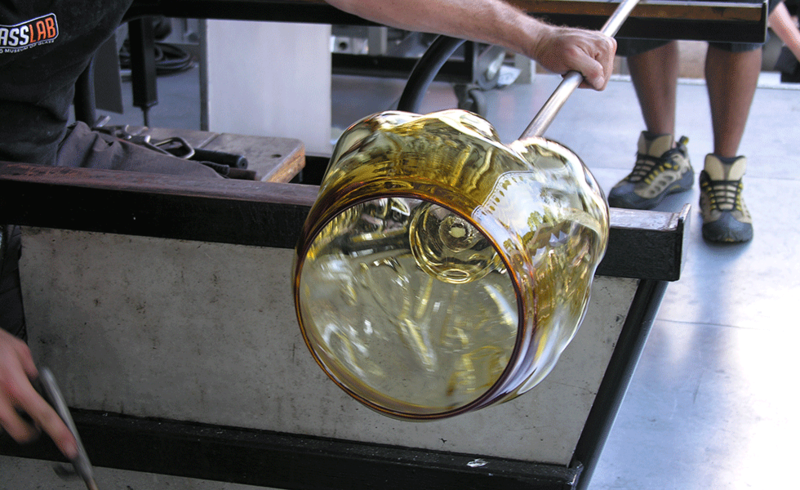 As a visiting artist to Corning GlassLab I was privileged to experiment and play with this amazing material right on the stage. 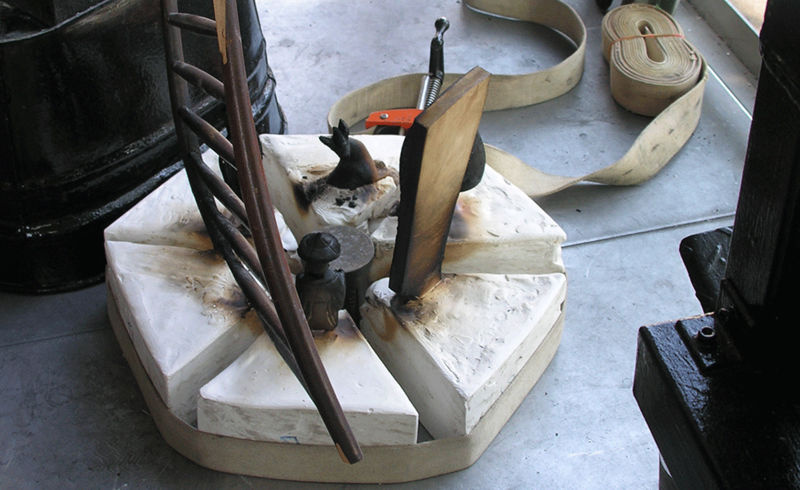 My project with them — MEMORY VASE. 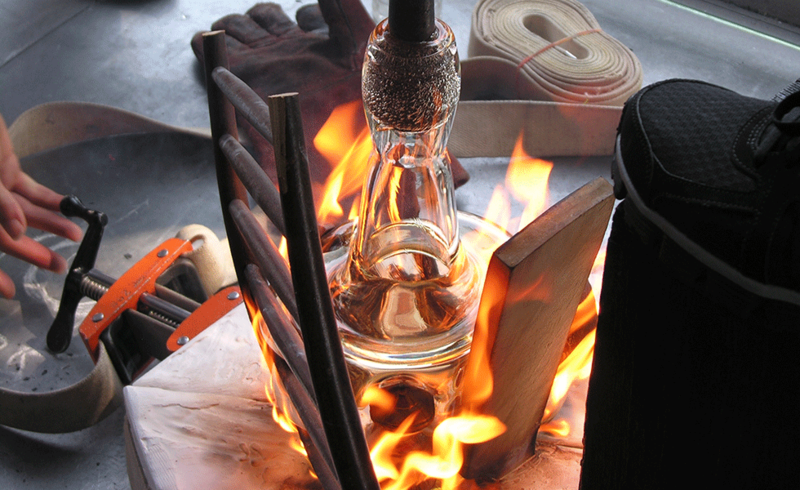 When I was invited to submit a design proposal to be produced in front of the visitors at public glass-blowing event, I thought about visual effects of the fire on stage. 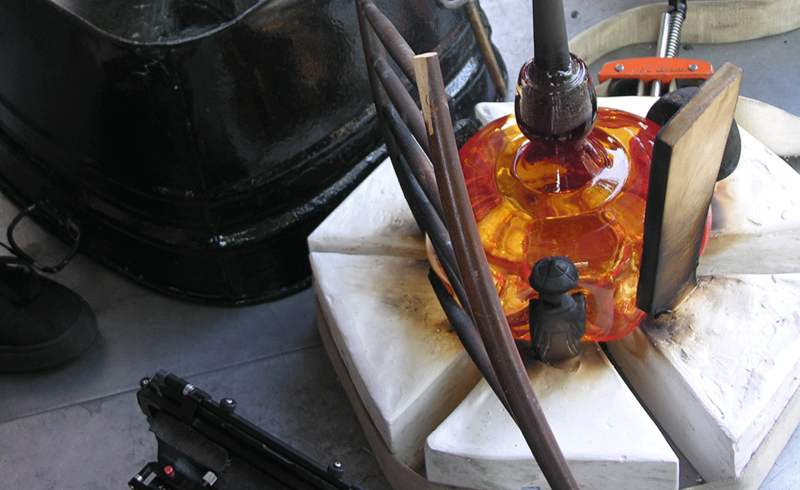 Traditionally mold for glass-blowing is made of metal or sometimes plaster and wood. 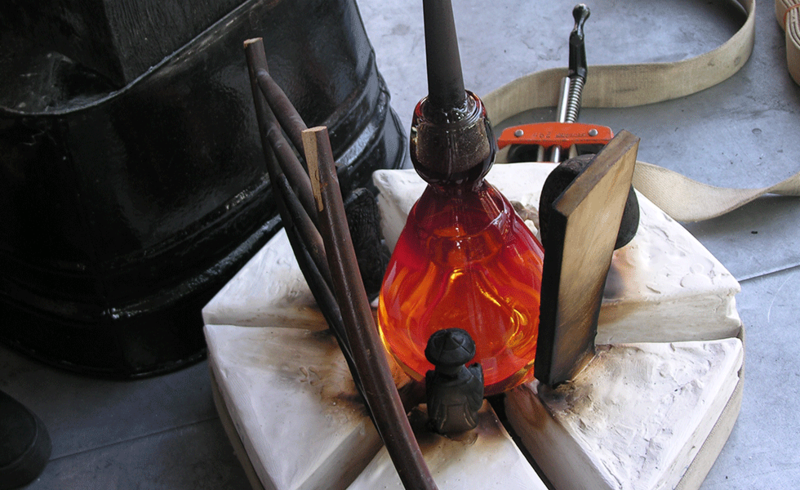 Wood is used in glassblowing but needs to be kept wet. I wanted to collect forgotten and unwanted wooden objects souvenirs from thrift stores and friend’s garages and give them one last glamorous life on stage. 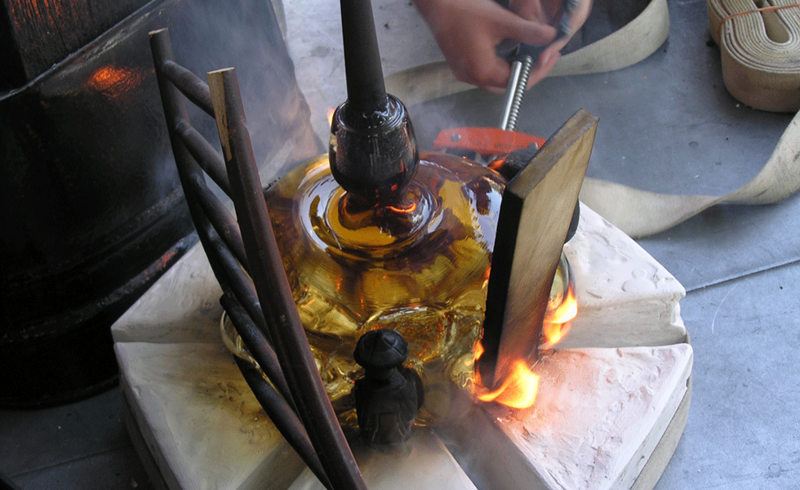 Final object is a tool that had to come a part quickly in order to remove glass vessel before it burns the wood completely or cools down too much. 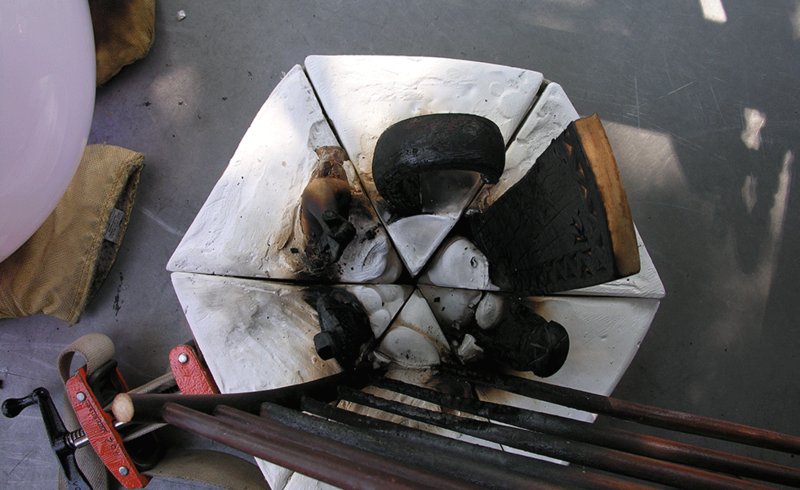 We were able to make 4 different objects before wooden pieces got completely destroyed. 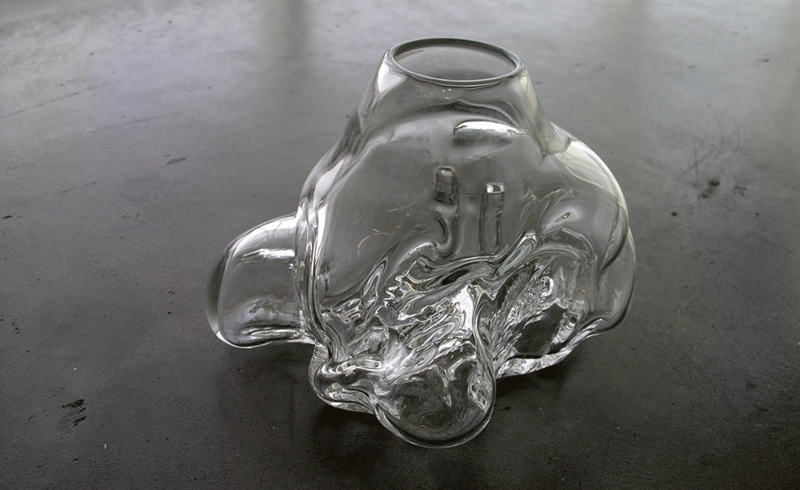 Several objects are now in permanent collection at Corning Museum of Glass.